Get These Products and You Can Be Healthier, Leaner, and Happier! Health and fitness are complex and controversial subjects. There is so much information out there (much of it conflicting) that tries to tell us how to be healthier, look better, lose weight, prevent disease, and live longer. 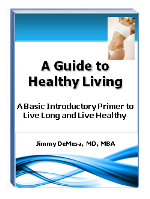 First, start getting the latest general health information with this introductory e-book. It's FREE as a gift from me and will provide you the background for some of the new research which will shock you - and maybe change the way you live (and hopefully increase how long you live). Next, for more specific information and to improve your health even more significantly, get (and use) the 6 products below right away. You won't regret it. So, don't delay!! Check out these 6 essential health products below and take a huge step toward your healthiest possible life!! 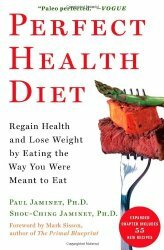 This book is one of the best general health nutrition books I have ever read. Don't get fooled by the title, though. While it is primarily intended to prevent or even reverse cancer, it is really the way we should all be eating on a regular basis to live healthier and longer. 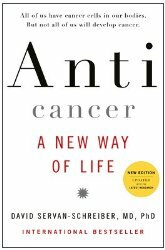 If, however, you do have (or have had) cancer - or even if you have a strong family history of cancer - it is critical that you read this book. 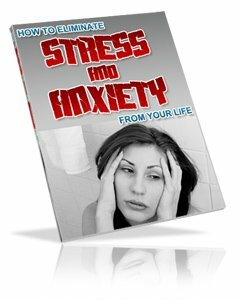 Get it by clicking on the "Order Now" button to the left (or click here to get the Kindle edition). Much of the nutrition information we have received over the past several decades may not be true. Cholesterol may not be the cause of cardiovascular disease and low-fat diets may not help us lose weight, for example. There is a new body of research which indicates that part of the reason heart disease, cancer, obesity, and diabetes are all on the rise is due to misinformation we have received. 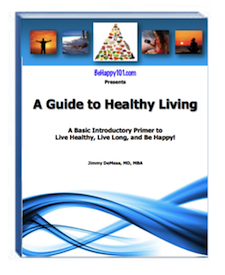 This book helps provide the healthiest nutritional information available today. Heart disease is one of the most common causes of death and one of the biggest reasons why most people over 70 are on multiple prescription drugs. To make matters worse, we have been led to believe that cholesterol is the culprit. New research, however, is finding that may not be the case. 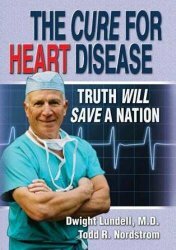 This book can help eliminate the need for many of those drugs and reduce or even eliminate the chances you'll get cardiovascular disease. Isotonix OPC-3® contains powerful antioxidants and is the best I have found. Oligomeric proanthocyanidins (OPCs) are found in fruits, vegetables and certain tree barks that provide exceptional nutritional benefits to the human body. Studies have shown OPCs to be up to 50 times more powerful than most vitamins in neutralizing free radicals. Isotonix OPC-3 contains the only isotonic form of Pycnogenol® in the world. This is something everyone should be taking every day for optimum health and disease prevention. Get it by clicking on the "Order Now" button to the left. For maximum fitness, it is now recommended that we walk a minimum of 10,000 steps every day (the equivalent of about 4 miles). This device helps track that. 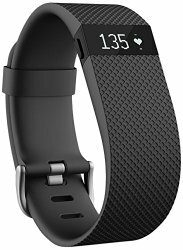 It tracks your steps, distance, and calories burned – and syncs those stats to your computer and select smartphones. In doing so, it celebrates how much more you do each day. It encourages you to set goals, challenge friends, and go farther - one step at time. That's how you turn everyday life into a social, achievable, awesome path to fitness. Regular (daily) activity is one of the keys to optimal health and longevity. Studies are now showing that the best regular activity is to take 10,000 steps per day (the equivalent of about 4 miles). That goal is made easy with this great invention - The Treadmill Desk!! If you work at a desk for much of the day, the latest research indicates it is very unhealthy. 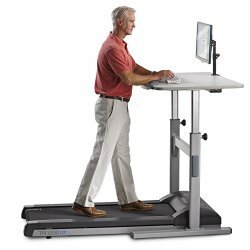 This allows you to walk while you work ... easily getting in the recommended minimum 10,000 steps per day required for optimum health. For anything else you may need to make you healthier, happier, and live longer, I would appreciate it if you would shop through Amazon.com by using the search box below. It costs you nothing extra and helps me keep this website up and running to help improve people's lives.